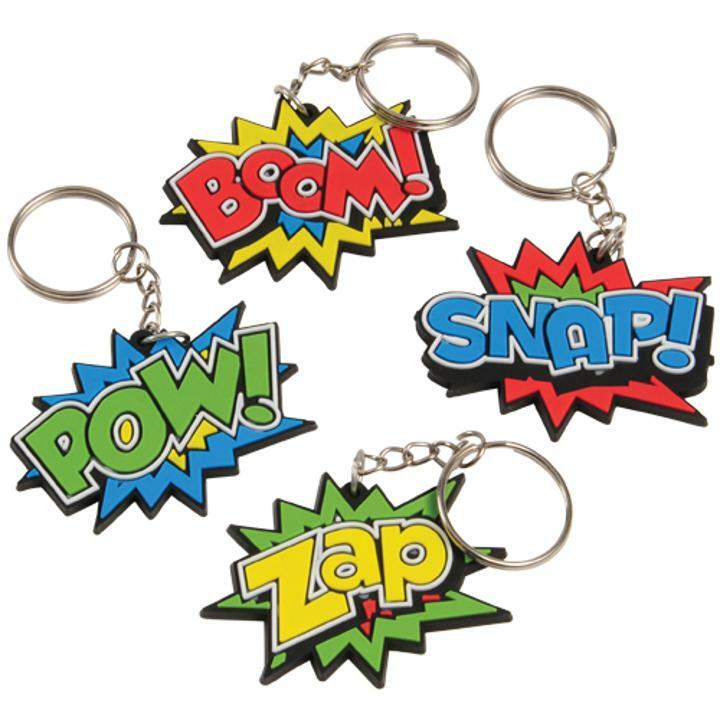 Cheap Superhero Keychains - 12 Ct.
Superhero Keychains - 12 Ct.
Support the superhero fandom with these superhero-themed keychains! A great giveaway for comic book enthusiasts, these metal keyrings come adorned with a rubber pendant depicting a popular pop art phrase such as POW!, SNAP! and BAM!. Great for kids and adults alike, they are a must-have for your next superhero-themed event! L: 7.05 in. W: 0.85 in. H: 5.25 in.